***NEW FEATURE***The Expedition Backpack 300 offers an INDEPENDENT REMOVABLE MEAL CORE! 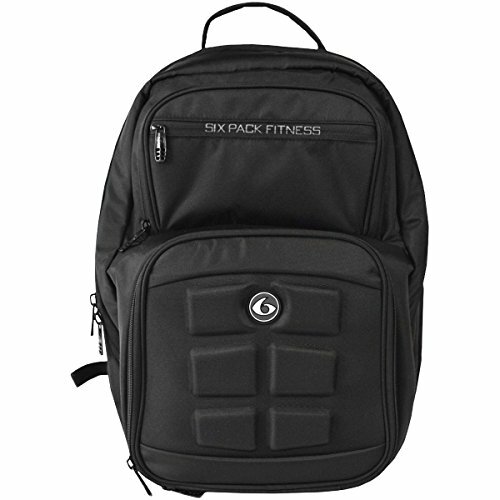 The Expedition Backpack 300 offers comprehensive meal management capabilities while storing gear for the gym and technology for the office. It features a fleece-lined technology compartment for laptops/tablets up to 15" and a fleece-lined pocket to protect sunglasses and other eyewear. The insulated modular core system keeps up to 3 meals organized and independently accessible. The Expedition Backpack includes zippered utensil and supplement pockets, and won't collapse when empty. Fleece-lined technology compartment fits up to 15" laptop and tablet, * Fleece-lined pocket to protect sunglasses and other eyewear, * 2 exterior insulated pockets for water/blender bottles, * Deluxe padded back and shoulder straps for maximum carrying comfort. Insulated modular core system keeps up to 3 meals organized and independently accessible. * Includes zippered utensil and supplement pockets, and won't collapse when empty. Preloaded with 3 Sure Lock Containers plus 1 Sports Nutrition Container for organizing supplements.